Lenovo and Wacom's new ActiveES pen promises to double your pressure, double your fun. Pen interoperability should improve by 2017 when Wacom releases its dual protocol pen and the USI (Universal Stylus Initiative) consortium brings its products to market. But in the meantime, if you're in the market for a pen-abled Active ES device or are looking for a replacement pen for one you already own, I offer this chart of my test results. Wacom Bamboo Smart: One AES pen to rule them all? When Wacom announced its Bamboo Smart stylus "for select tablets and 2-in-1 convertible devices" at CES back in January, it was big news. Until that point, only a handful of OEMs' Active ES pens had hit the market and they seemed to be incompatible with one another. One Windows Pen to rule them all? Another way we’ll deliver that is via a recent partnership with Wacom. Wacom, a leader in digital pen hardware, has signed an agreement with Microsoft to create and produce Windows Ink capable solutions for the ecosystem. This will help provide customers with the best end-2-end Windows Ink experience. By combining Windows Ink technology, learnings from Surface and Wacom DNA into a high quality writing instrument built for Windows Ink, customers have an easy choice when they need an accessory pen. Customers should expect the pen to be available at retailers like Best Buy this holiday season. UPDATE 3/31/16 From the official press release, below, Wacom is targeting the 2016 holiday season for the release of the dual protocol pen. Tokyo, March 31, 2016 ----- Wacom Co., Ltd announced today its Universal Pen Framework (UPF) initiative has entered a new stage with Microsoft Corp. licensing its Microsoft Pen Protocol to Wacom. In the near future Wacom’s digital pen solutions will incorporate both Microsoft Pen and Wacom Active ESTM Pen protocols, helping customers better take advantage of Windows Ink on Windows 10 devices. Wacom is working to build pens that support both protocols, targeting delivery this holiday season at the end of 2016. “This is truly groundbreaking: now we have two leading pen protocols—by Microsoft and Wacom—that can be tapped on demand with a single pen,” said Masahiko Yamada, President & CEO of Wacom. “Supporting multiple protocols makes our pen incredibly fast and easy for people to write intelligent notes, be creative, and get productive when using Windows Ink on their Windows 10 devices. As well as advocating the digital pen as a primary interface tool for mobile products and services, we also believe in the power of digital ink as a transformational medium. Digital ink can convey people’s creativity by enabling ideas to be captured and shared over the cloud, while sustaining the evolution of those ideas. I’m looking forward to seeing how we can accelerate the emergence of digital stationery in collaboration with valued partners like Microsoft,” he added. Wacom has been supplying its Active ESTM pen solution to a number of OEM customers since 2014. In order to ensure interoperability of digital pens among multiple platforms, Wacom has been developing the multi-protocol pen technology in collaboration with key IT industry players such touch controller suppliers, display manufacturers and platform developers, under the name of UPF (version 2.0). As part of the UPF 2.0 initiative, this agreement between the two companies makes it possible for Wacom to manufacture multi-protocol pen solutions including Microsoft Pen and Active ESTM protocols on demand. It is hoped that this will help to bolster broad consumer demand for digital pen and ink as enabling tools for communication, expression, business, education and entertainment, covering various aspects of people’s daily activities. On January 7, 2016, Wacom introduced the Digital Stationery Consortium, which promotes the digital inking experience across multiple mobile ecosystems and solutions through collaboration with companies across a range of sectors, from IT hardware, software and service providers, through to businesses in stationery, publishing and education fields. The agreement on digital pen protocols is a huge step forward toward the era of simple, high quality digital pen and ink experience, and it will form one of the pillars of the Digital Stationery Consortium. (*) This is translated to English from a Japanese announcement solely for convenience of non-Japanese readers. Moments after I posted the earlier story about Microsoft touting its upcoming Ink API improvements, I came across a tantalizing Tweet from Bryan Roper. Sounding like hyperbole, I assumed that this would be something similar to Wacom's iPad efforts: a Bluetooth stylus for touch only devices. Tonight, several tech blogs are reporting that the two companies are indeed working on a much more ambitious collaboration: a dual sensor pen that will work on both Wacom ActiveES and Microsoft N-Trig devices. This remarkable development will be the first time the pair work together since Microsoft abandoned Wacom's EMR technology used in the Surface Pro 1 and 2 for the thinner N-Trig digitizers found in every tablet released since the Surface Pro 3. Microsoft acquired N-Trig's pen technology last year and we all assumed that Wacom fans would have to look at devices from other manufacturers for the foreseeable future. VAIO is the only other OEM producing devices with N-Trig digitizers. Since the Toshiba Encore 2 Write was released in January, 2014, Wacom has made steady advances, providing digitizers for Lenovo, HP and Dell, to name a few. While N-Trig pens are interchangeable, Wacom's ActiveES pens have unique IDs and OEMs have chosen to limit compatibility between tablets. 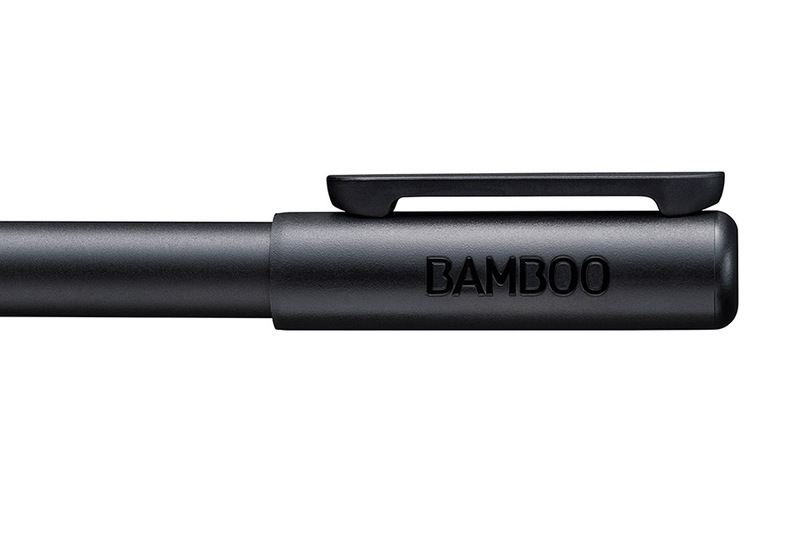 Wacom has been promoting a solution with its as-yet-unreleased Bamboo Smart pen for select tablets and 2-in-1 convertible devices. The active pens from Microsoft and Wacom operate very similarly but they do have some important differences in pressure sensitivity levels, hover distance and button capabilities. As more details become available, we will make sure to update this post. Backed by three decades of digital pen input innovation, Bamboo Smart delivers the power of note-taking and ideation to a wider audience of laptop and tablet users. Las Vegas, Nev. - Jan. 5, 2016 - As mobile users demand more from their devices with the help of digital styluses, Wacom® continues to innovate and raise awareness in the smart stylus category. Bamboo Smart for select media tablets and 2-in-1 devices builds on Wacom’s 30 years of pen input leadership and the feedback of thousands of professional users as well as enthusiasts and hobbyists. The result is two premium Bamboo Smart styluses. 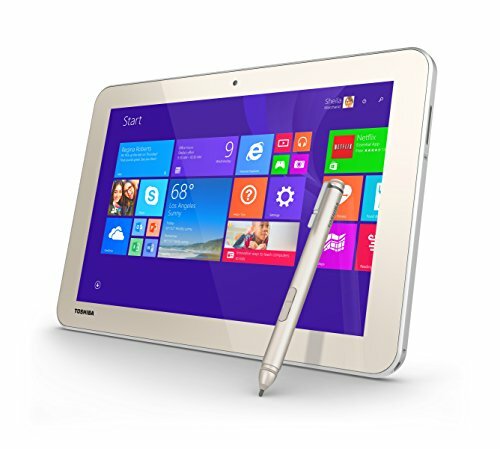 The first, making its debut at CES 2016, is Bamboo Smart for select Windows® 2-in-1 devices enabled with Active Electro-Static (AES) technology. The second, introduced this past September, but new to most CES attendees, is Bamboo Smart for select Samsung® devices using Wacom’s Electro-Magnetic Resonance (EMR) technology. Both styluses offer pressure-sensitive precision and sublime comfort, producing handwritten notes and rough ink concepts that feel and look like they were produced by traditional media. Both Bamboo Smart styluses are designed with high quality materials and use technology developed to enhance the effortless experience of a traditional inking pen. Every subtle written or drawn detail is captured accurately. Comfortable and balanced in the hand, Bamboo Smart owners can fearlessly take notes and sketch out rough ideas and concepts on their laptops and mobile devices just like they would with pen and paper. Two programmable side switches on the barrel of Bamboo Smart’s AES stylus allow for fast and convenient access to regularly used commands, such as right click or double click. 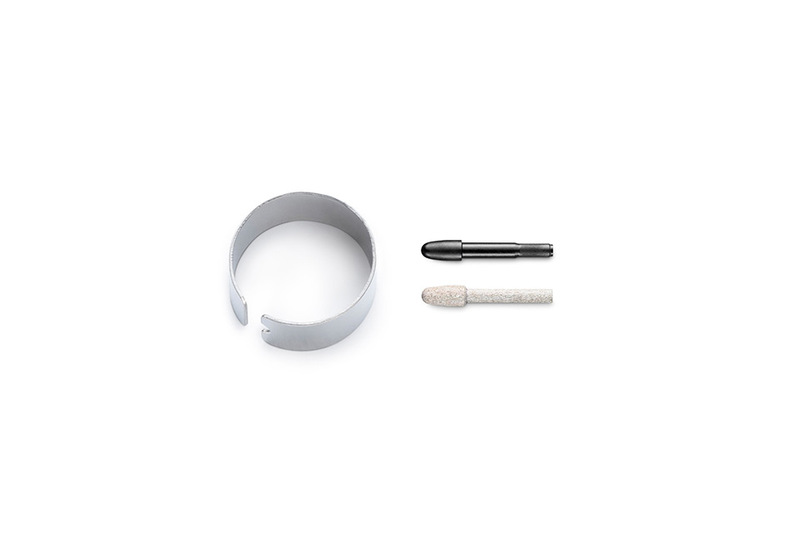 The stylus requires a AAAA battery that will last approximately one year when used around three hours per day. The Bamboo Smart for Samsung features one side switch and requires no batteries or any type of charging. Bamboo Smart users will find that they can get more out of their favorite productivity apps such as OneNote and Wacom’s own note-taking app, Bamboo Paper. Because AES technology is native to these devices, the Bamboo Smart works immediately, no pairing required. Bamboo Smart for Samsung is battery-free and cordless. Wacom just posted an update to its enhanced tablet driver. This is significant for owners of recently released devices with Wacom pens who were reporting problems or incompatibility with the previous Feel version. According to a Wacom rep, the update "should support most everything out there that has a Wacom pen in it." The Surface Pro 3 and 4 and the Surface Book are not Wacom-equipped. This driver is designed to work on devices with Wacom EMR digitizers like the Surface Pro 1 and 2 or Wacom ActiveES pens like the Toshiba Encore 2 Write and Lenovo Thinkpad Yoga 14. "This driver is not required in order to use the Inking capability of a tablet computer," states the Wacom Read Me. "Its purpose is to support advanced features such as pressure-sensitivity in graphics applications such as Adobe Photoshop and Corel Painter. The driver also enables you to adjust the pen tip pressure sensitivity and to program the side switch of the pen for a wide range of alternative settings and functions." Programs that support Microsoft's INK API don't require the Feel driver for pressure sensitivity, but you will want to install the Feel driver anyway in order to calibrate your device and customize pen buttons. If you're updating from your previous Feel driver installation, Wacom recommends that you uninstall that driver and reboot first. "Some bug fixes since July include improved pen images for custom control panels for OEM drivers in addition to the generic pen image for the Feel Driver, removing selective suspend enablement on I2C devices where it caused an issue, and improvement of the Radial Menu customizations." EDITOR'S NOTE: I've been hopelessly behind on my product reviews since January. It's been my plan to follow up my review of the HP Pro x2 612 G1 with a review of Toshiba's 10" Encore 2 Write. But then the Wacom Companion 2 was released and testing that device has been taking up all of my limited free time. Fortunately, Twitter friend and artist Eric Merced stepped into the fray and purchased and quickly reviewed his Toshiba tablet last week. With his kind permission, I reprint his findings here. Enjoy! I tried my best to write a short thorough review of the Toshiba Encore Write 2 tablet that was not just open and honest, but informative for anyone who is in the market for either a Surface Pro 3 or the less expensive Write 2 tablet. As an artist, my review is technically geared towards Artists looking for a portable drawing solution. However, that does not exclude anyone looking for a solid pen-based tablet. With that in mind, I do have to say, that if you’re a heavy Photoshop, Corel Painter or Manga Studio user, you may be better suited with the more expensive and higher spec Surface Pro 3 due to the lower specs of the Write 2. And by heavy user, I mean, if you’re a painter who requires lots of memory and processor power, then the Write 2 may under perform for you. I broke this review in two simple sections targeting the Write 2 and comparing it to the Surface Pro 3. Hopefully, this will help you decide which device is better suited for your needs. Small and lightweight. The Write 2 basically feels like an iPad in your hands. It’s lighter than the Surface Pro 3 and feels much more solid than an iPad. I always got the feeling that if I dropped an iPad or the Surface Pro, it would be game over. While I’m not looking towards dropping the Write 2 anytime soon, I feel that it may be capable of taking a tumble or 2 much better than the iPad or SP. Also, the Write 2 feels way more portable than the SP. Again, just like an iPad, I feel better carrying this thing around versus the SP3 which, even though it’s supposed to be a tablet, is more in line with a laptop. Windows 8 Desktop Apps in a true portable experience. The allure of the SP3 and the Write 2 is the fact that you can have Windows 8 desktop apps in a portable device. And I’m not talking about desktop equivalent apps here, I’m talking about the actual desktop apps, like Photoshop, on a tablet. With the Surface Pro 3, it’s almost not much of a big deal because, like I mentioned beforehand, the SP3 is like a smaller laptop more than it is a tablet. With the Write 2, you really get the impact of running full Photoshop or Manga Studio in a tablet (as a matter of fact, Microsoft compares it against the Apple Macbook Air and not the iPad). To be honest, there’s more of a wow factor with the Write 2 than there was with the SP. And again, that has to do with the fact that this feels like an iPad. A real tablet. I think every iPad owner that’s a digital Artist really dreams of an Apple solution to the SP and now, the Write 2. As a Mac OSX user myself, I wish Apple would get with the program and create a true portable OSX experience like Microsoft has done with the SP and now, their partners like Toshiba, with the Write 2. I can’t express how awesome it feels to have Photoshop or Manga Studio in such a small device without much compromise. I can truly start something on my desktop, sync via Dropbox, and continue on my Write 2 on the go, or vice versa. Good battery life. The Write has really good battery life. I can go almost a full day using it without the need of plugging it in. However, there’s a downside which I’ll touch on in the 2nd portion of the review below. Tracking is on par with the SP3. You notice the cursor drag behind the pen if you move fast but this has no noticeable impact on drawing/writing that I’ve noticed. Yes, you do encounter lag at times with Photoshop or Manga Studio, but it depends on the brush you’re using. I use a lot of custom brushes in both apps and these brushes, at times, require some power to work. But for the most part, the lag is very minor. And as a reference point, I generally work in 8.5x11 or 11x17 at 300dpi’s. And yes, it does have pressure sensitivity which works great in both Photoshop and Manga Studio. Note: I did encounter a lot of frustrating lag when I installed the Wacom Feel Driver. I was told on Twitter that the latest version, as of this writing, did introduce some issues so keep that in mind. Side slot to store your pen when not in use. This is so cool. The SP3 has a magnetic side where the pen clings on. You can’t use it when you’re charging the SP and, in both my experiences with the 2 units I tried, the magnet’s not even that’s strong. The Write 2’s solution comes via a clip on the side of the pen that you can insert into a slot on the side of the tablet. It works exceptionally well and diminishes any fears of it accidentally slipping out. I do wish it had the same in body slot the Samsung tablets have but, this works well. Also, the cap on the pen is a bonus. Not only does it protect the tip when not in use but, according to Toshiba, it helps with conserving battery life. A full year of Office 360. Ok. I don’t know why I even added this as a good stuff. Or, yeah, ok. I did write this review on Word but, ok. Fine. Affordable. The lower end Surface Pro 3 will run you $799 while this will run you $400. Slow charging. Yes, it has good battery life but the downside is, in my experience, it takes looooong to charge up. Maybe I’ve been spoiled by the Nexus 6’s fast charge up time. Low resolution screen. The only reason I’m even adding this here is because others have brought the point up. Yes, the Surface Pro 3 has a beautiful 12” screen. The thing is just gorgeous and a delight to work on. But the low resolution screen on the Write 2 may not turn you off. At least it didn’t turn me off. As a matter of fact, it’s a non issue for me. It’s not a powerhouse. In comparison to the Surface Pro 3’s lower end model (see spec comparison below), the Write 2 is no power house. If you’re a heavy Photoshop user who does some intricate paintings that require a lot of processor and memory power, you might want to look at the higher end SP3’s because the Write 2 will disappoint you. With that said, it’s suitable for the kind of work I do. You’re just going to have to take a look at your work and workflow and decide which machine is best for you. The charger cable is too short. I’m used to charger’s with a good amount of length on the cable. But for whatever reason, the Write 2’s charger is a bit short which makes for an annoyance when, say, sitting on a sofa and needing to plug the charger in while you continue to work. I may actually look into an alternative charger if possible. No alternate choices for pens. With the Surface Pro 2 I had the choice of using the horrible stock pen or, what quickly became my favorite, the Wacom Feel pen. With the SP3, I believe that changed and your choice was limited to the stock pen. The same is true for the Write 2. I do wish I had a choice of 3rd party pens. While I really do not dislike the stock Write 2 pen (I actually find it better than the SP2’s pen) I do wish I had options. But for now, it will do just fine. Surprisingly, that’s it for the bad stuff! Q. Is the Write 2 a suitable replacement for the Surface Pro 2 or 3? That depends on what you’re looking for. If you’re looking for the same power you get from the SP2 or 3, then you might want to look at the latest SP3 models. If you’re looking for a much more portable solution with OK processing power, then the Write 2 might be what you’re looking for. If you don’t mind a smaller screen, again, the Write 2 is what you’re looking for (I do suggest the 10” model over the 8”). However, if you crave for a slightly bigger screen than that of the Surface Pro 2, the Surface Pro 3 has a beautiful 12” screen that does not disappoint. Q. Is the Write 2 a suitable replacement for the Cintiq? No. Look, in all honesty, if you have the cash to get your hands on a Cintiq Companion, stop reading this. Go get that darn Cintiq Companion. To this date I have not found a tablet that has the feel of the Cintiq screen. The SP2 or 3 did not have it nor does the Write 2. Drawing on these machines is like drawing on glass while the Cintiq’s have a premium textured feel to it that truly feels like drawing on paper. Also, the Cintiq Companion is much more powerful than the Write 2 and as an added bonus, you can plug it into your computer to use when not on the go. Q. Will it run Photoshop, Manga Studio and or Illustrator? Yes. Yes and yes. The Toshiba Write 2 basically runs on Windows 8. The same OS you get on desktop, you get in this portable little tablet. It’s friggin awesome. But keep in mind, there’s some squinting to be had. Not every app is optimized for Windows 8 mobile. I think Manga Studio and Sketchbook Pro have the best mobile UI’s out there. And on the Write 2, please stay away from Adobe Photoshop’s experimental UI features for now. They were designed more with the Surface Pro’s screen in mind. Q. Does the pen have replacement tips? Yes. And no. It comes with one additional replacement tip but I have not looked online to see if I can order more so, for now, I’ll play it safe and say no. Q. Is the Write 2 a suitable replacement for the iPad (as a digital portable sketchbook)? Um, how do I say this politely…. HELL YEAH! Look, iOS has some really amazing apps. Among my favorites were Procreate and iDraw. Unfortunately, you can’t find those out of iOS. But where iPad fails as a digital sketchbook is in the pen department. Bluetooth and pressure sensitive pens are not the best of solutions at the moment. I’ve had plenty of frustrations when dealing with them. But, it’s getting better. Still, when you use an iPad and iOS you’re basically using mobile apps that are not as powerful as desktop apps. I don’t care what opinions you may have about Procreate, you can’t produce high resolution art on it the same way you can in Photoshop. So the iOS experience on the iPad is a very limited one at the moment (fingers crossed on those iPad Pro rumors going around). In the meantime, if you’re looking for an iPad replacement, I highly recommend the Write 2. Windows 8 is a different beast than iOS and it takes some getting used to, but the ability to run desktop apps on a tablet will diminish any gripes you may have with the OS. Display: 8” (1280 X 800)- I’m not even going to consider the smaller version here because I’m highly recommending you go with the bigger model. So there you have it. I hope this review has been informative and helps you decide what machine to get based on your needs. While I really would have settled for a Surface Pro 3, and would still own one if the first or second units I bought hadn’t turned out defective, I have absolutely no regrets from buying the Write 2. In the end, I saved a lot of money and got a slightly more portable machine that still gives me the abilities to do the things I would have on an SP3. While not as powerful as the SP3, it still works great for my workflow and style of art. The new Feel driver adds support for devices with Wacom's new ActiveES digitizer, such as the Toshiba 10" Encore 2 Write. Earlier this week, Wacom released version 7.2.1-21 of its Enhanced Tablet Driver, aka Feel driver. The company hasn't updated its ReadMe file, so it's unclear what has changed. My inquiries to Wacom have gone unanswered. It appears that the primary purpose of this release was to introduce compatibility with new ActiveES devices like the Toshiba Encore 2 Write. Now those tablet users can enjoy the benefits of the built-in radial menu, tip sensitivity adjustment and calibration. I've tested the driver on Surface Pro 2, 10" Encore 2 Write, HP Pro x2 612 G1 and the Asus VivoTab TF810C with no problems to report. If you spot any differences, be sure to let me know in the comments section below. UPDATE 2/15/15: Many of you are reporting laggy performance and loss of volume button controls on the Surface Pro. Keep those error reports coming and we'll make sure to pass word along to Wacom. If you need to revert to an older version, you find those here: http://us.wacom.com/en/support/legacy-drivers/. You can check out the driver for yourself here.